'Electronically re-recorded to simulate stereo"
Tracks: Autumn in New York, Among My Souvenirs, I Only Have Eyes for you, Shes Funny that Way, Begin the Beguine, I'm Glad There Is You, Oh! What It Seemed To Be, Why Was I Born, Where or When. 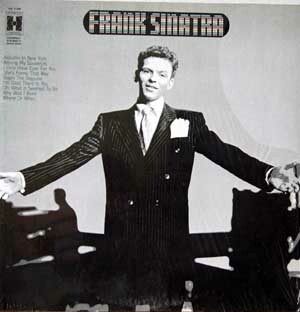 This a remastered collection of early Sinatra hits.